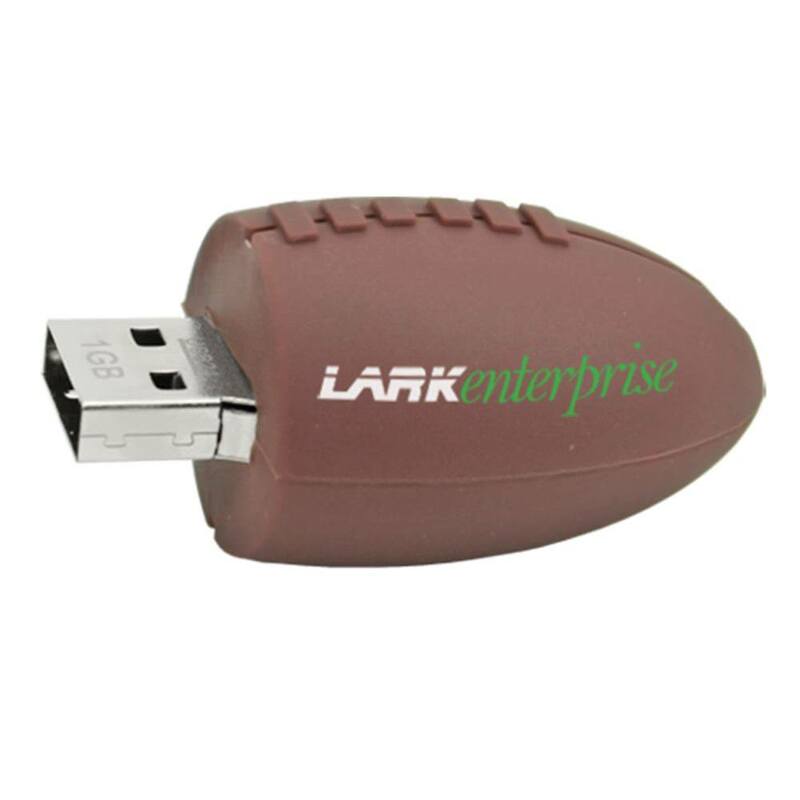 Get ready to kick off your next marketing campaign with these Pigskin Football Shaped USB flash drives. 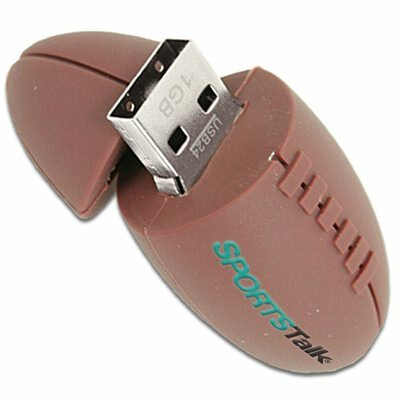 Incredibly detailed and unique the football shaped custom flash drive even is made of soft PVC rubber material and even has lacing. The built in cap and key ring will allow your clients to take this flash drive with them wherever they go and have it protected. 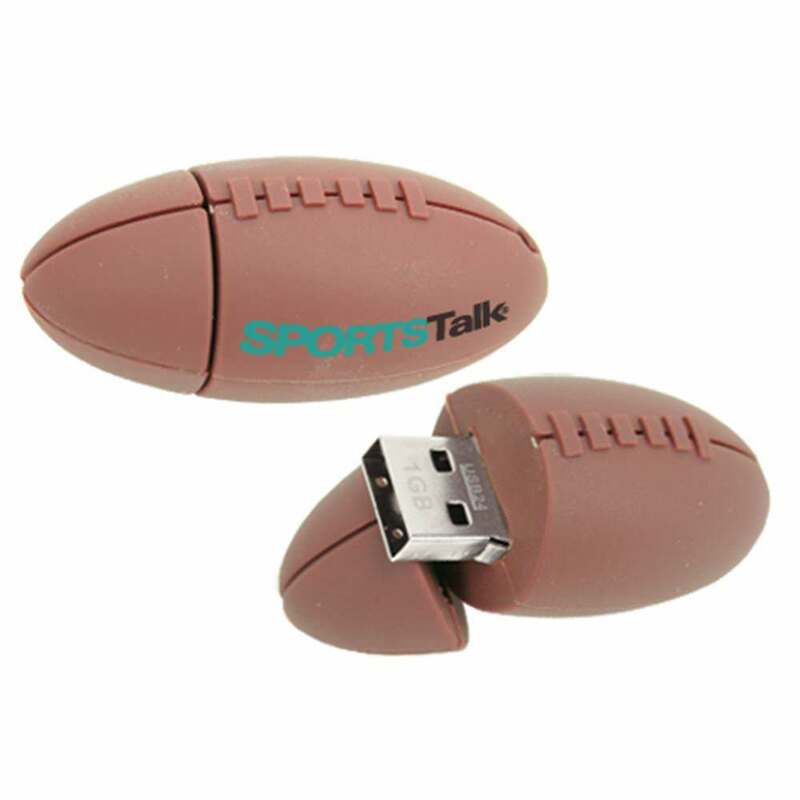 An excellent promotional tool, these charming football shaped flash drives are customizable, so you can put your company or team logo on the drive. 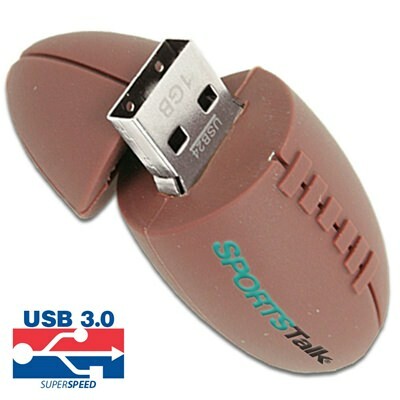 These football flash drives would be a great product for football teams, organizations, summer camps, and more. Upload pertinent information including game schedules, pricing, menus, information about your business and more. Get people excited about your business with these football shaped USB flash drives today. 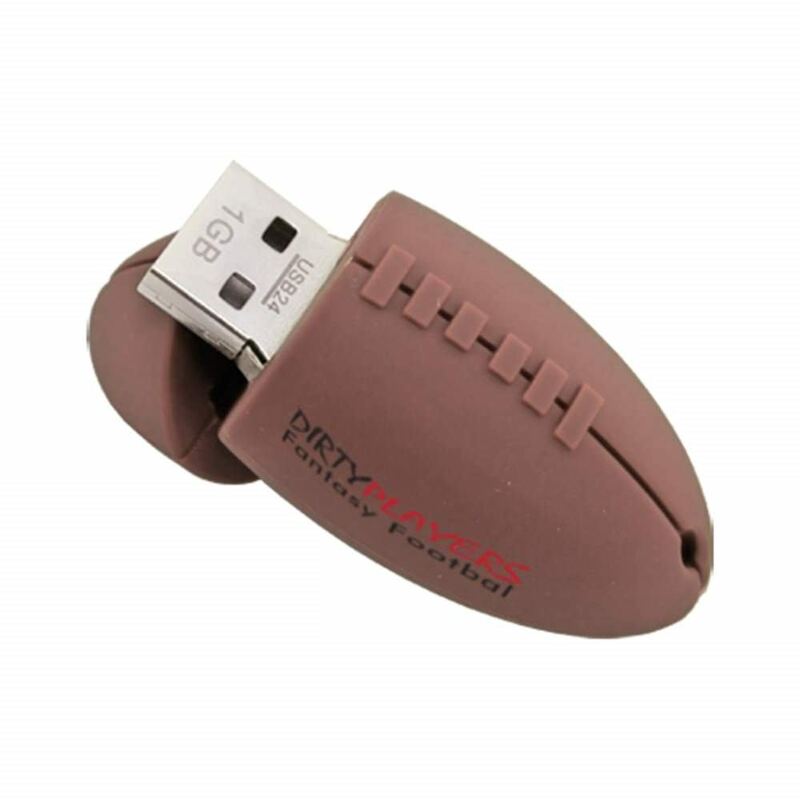 Kick off your sales season right with the Pigskin Football shaped promotional flash drive. 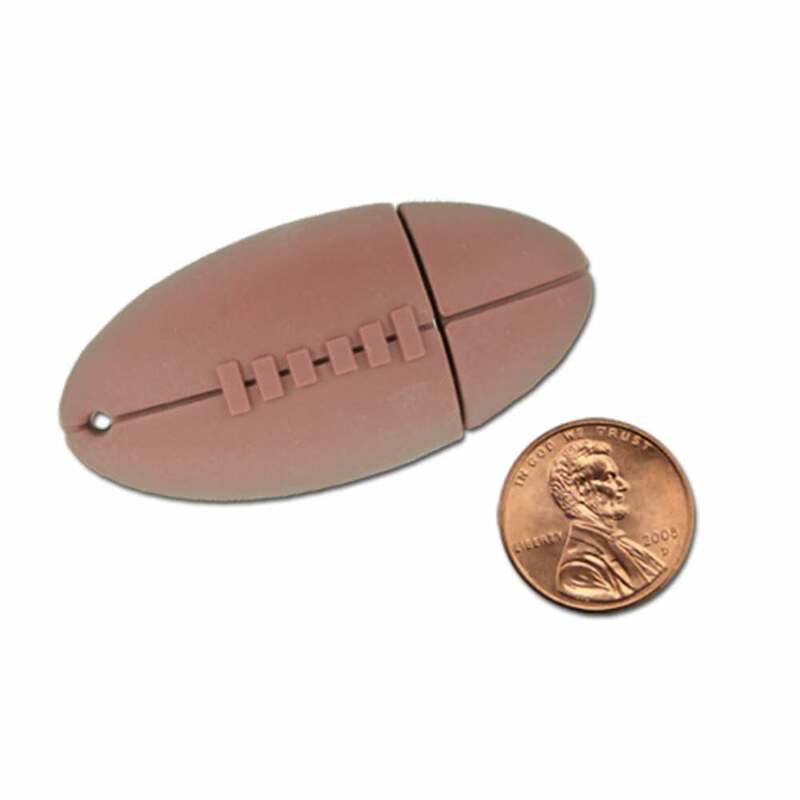 Molded in a traditional football shape out of soft PVC materials, this drive is a fun new way to advertise your company while giving your customers a little gift in return. Incentivize data storage while packaging and advertising your company all at once. The built-in cap protects the port and the additional keyring makes transport a breeze. Custom print your company logo right on the side of the drive and you’re ready to play ball.